Grab your lanterns and travel into the woods (the setting of countless fairy tales) for a Disney's Fairy Tale Wedding rustic-inspired reception. 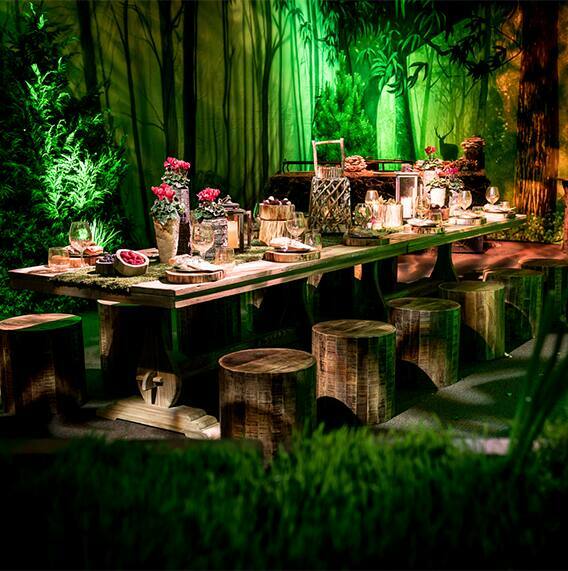 From the intertwining greenery to the bountiful berries dressed in forest flair, this customized table will allow you and your guests to become part of your own forest fairy tale. Of course the real star is the food which is delicious, fun and inventive- a testament to the talent and creativity of our world-class chefs. We promise that no dark forest creatures or witches will interrupt your forest feast! This offering is only available at Walt Disney World, so be sure to ask your Disney Wedding Planner for more info and pricing details.